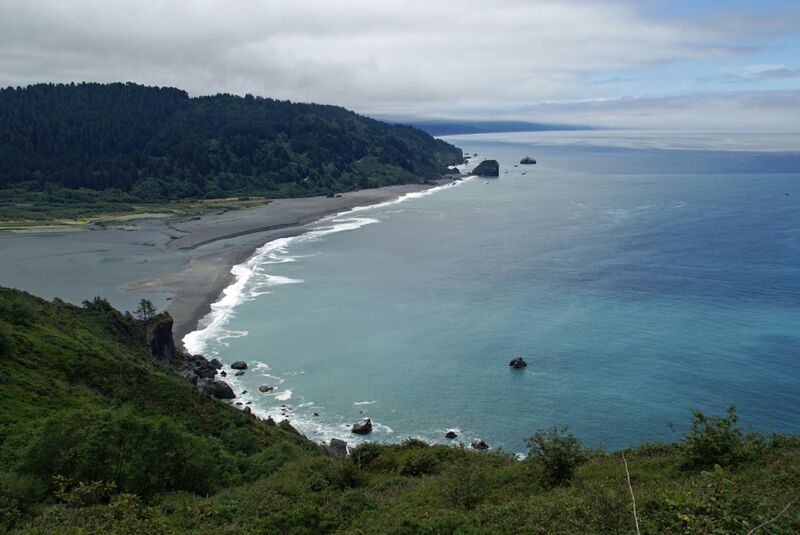 Take a moderate hike on the Klamath section of the Coastal Trail to Hidden Beach, with the option to explore the Yurok Loop Trail. Get world-class views of redwood-clad slopes, the vast Pacific Ocean, and the mouth of the Klamath River, plus enjoy the seclusion of Hidden Beach. Notes: Dogs prohibited. See end of hike description for car shuttle details and a shorter route to Hidden Beach. Toilet at trailhead. Take Requa Road off US Highway 101 about 18 miles south of Crescent City and 2.8 miles north of the Klamath River Bridge. Near the Requa Inn at 0.9 mile, the road changes to Patrick J Murphy Memorial Drive. Continue another 1.5 miles to the trailhead at the Klamath River Overlook. First: the Klamath River Overlook! Mouth of the Klamath River from the trailhead. Prairie Creek Redwoods State Park is in the far distance. 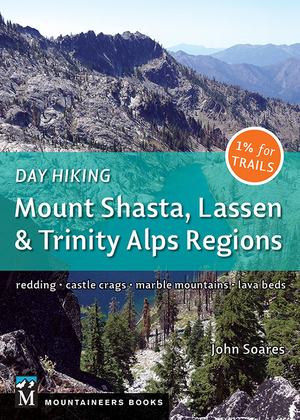 You’ll likely delay starting the hike because the views at the trailhead are so magnificent. The mighty Klamath River starts on the east slopes of Crater Lake National Park and in the high desert of south Central Oregon; as it flows south and east, it gathers many other streams large and small to become the Klamath, the second largest river in California, before entering the Pacific just below you. Farther south lie the extensive redwood-covered slopes of Redwood National Park and Prairie Creek Redwoods State Park, including Gold Bluffs Beach. The deep blue of the Pacific Ocean stretches south, west, and north to the far horizons. 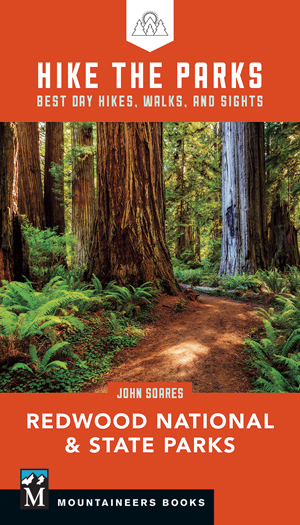 Note: this is Hike 65 from my all-color 100 Classic Hikes: Northern California, fourth edition. Both this hike and a separate hike on the Yurok Loop Trail and Hidden Beach will be in my forthcoming book Hiking the Parks: Redwood National and State Parks (coming out in spring of 2019). 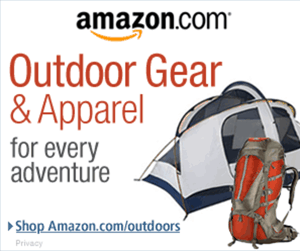 Start the hike by dropping south 0.1 mile to a trail fork. Continuing downhill 0.4 mile to the left brings you to another spectacular vista point and makes a great addition to the trip. 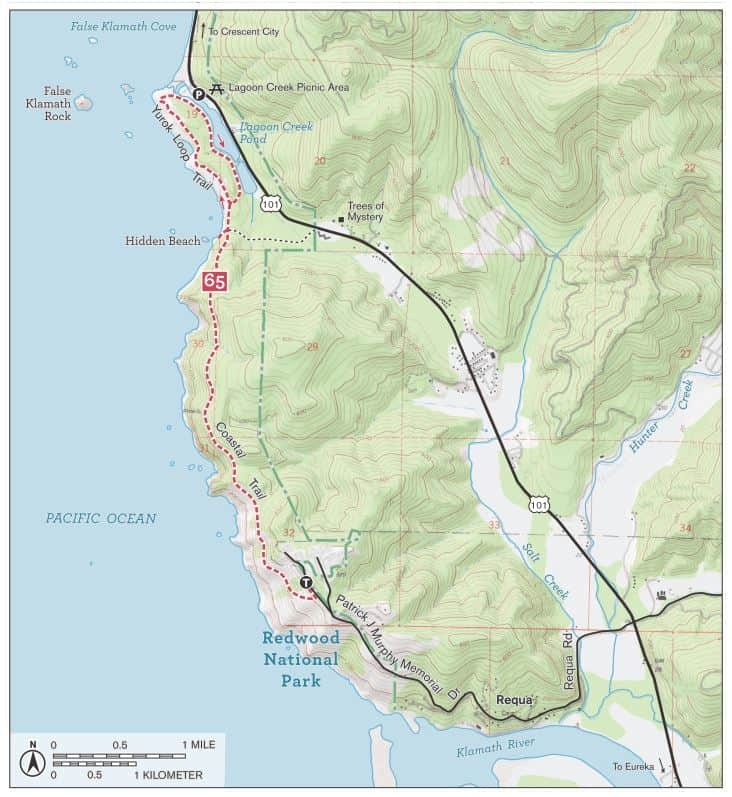 The main route goes right to head north on the Coastal Trail and descends gently past blue lupines, cow parsnips, and other flowers that bloom in spring and summer. You’ll then pass through a small drainage harboring red alder and Sitka spruce, common tree species near the coast. 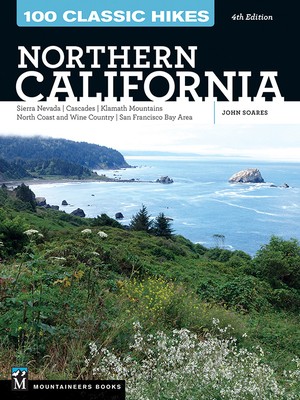 Continue onward on a path that undulates between the deep shade of the forest and more open areas that give views of coast and ocean: look for Crescent City far to the north and False Klamath Rock much nearer. At 2.9 miles, you’ll notice a trail leading off to the right that runs 0.5 mile east to Highway 101, just north of Trees of Mystery. Continue left to stay on the Coastal Trail; almost immediately you’ll reach another fork, where you go left 150 feet to Hidden Beach. Hidden Beach is one of the best beaches on the North Coast. Reach it by carefully negotiating the massive deposits of driftwood at the high-water mark. The beach itself features dark-gray sand and a jutting sea stack on the south end. 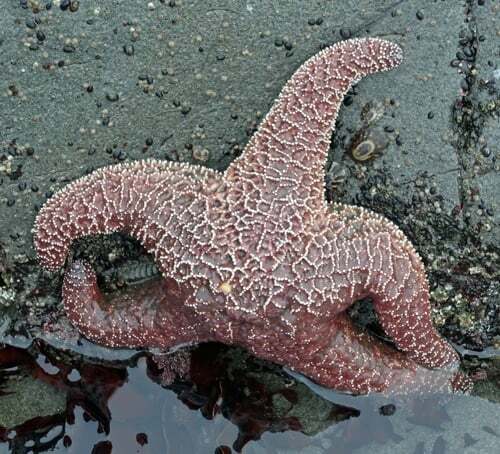 If you arrive at low tide, you can also explore tide pools to see starfish, sea urchins, and many other creatures that live in the rocky intertidal zone. Return to the Coastal Trail and go left. The path soon descends to near beachside and then enters grasslands as a steady surf chant accompanies continuous open views of the ocean. A good view of Hidden Beach awaits at the end of a 50-yard loop spur trail to the left at 3.3 miles. 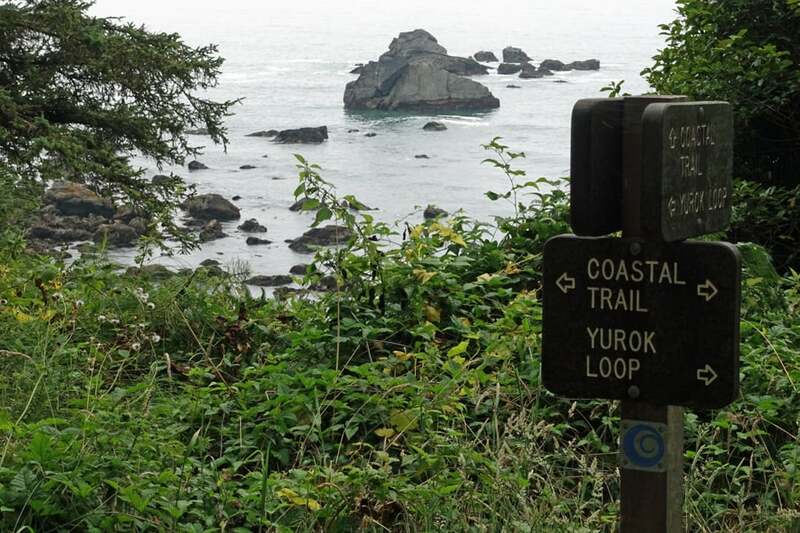 Go left onto the Yurok Loop Trail 0.1 mile farther. Open views of the coast continue, and at 3.9 miles you’ll see False Klamath Rock just offshore, rising 209 feet above the ocean surface. The Yurok Loop Trail then turns east to reach another fork near the parking area at the Lagoon Creek Picnic Area beside Highway 101 at 4.1 miles. Bear right here to continue the Yurok Loop Trail, which passes through an area that once contained a Yurok village, though no traces remain now. Arrive back at the Coastal Trail at 4.5 miles and go left for the 3.4 miles south to the trailhead at the Klamath Overlook. 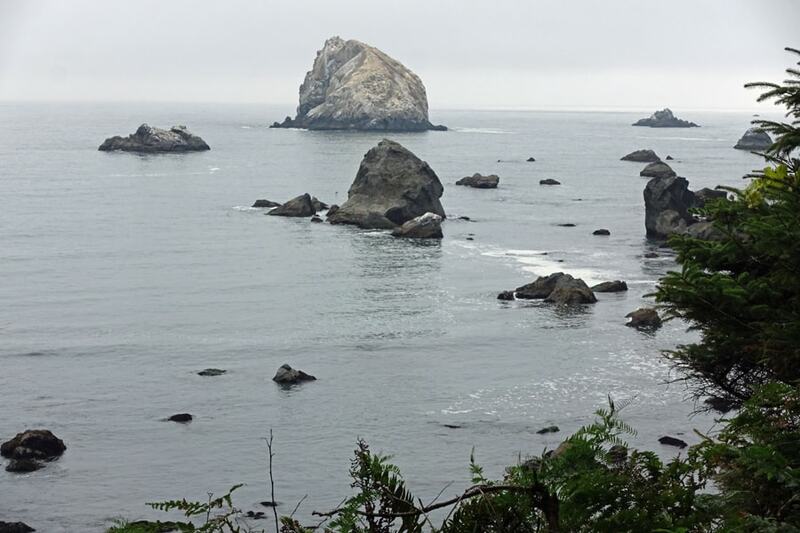 Note: if you’d like to arrange a one-way car shuttle, or if you just want to do a shorter hike along the Yurok Loop Trail to Hidden Beach, you’ll need to drive to the Lagoon Creek Picnic Area. 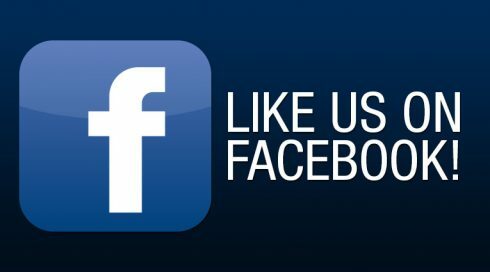 It is on US Highway 101 on the west side, 3.7 miles north of Requa Road, 6.5 miles north of the Klamath River bridge, about 14 miles south of Crescent City, and 0.9 miles south of Wilson Creek Road and the bridge across Wilson Creek. 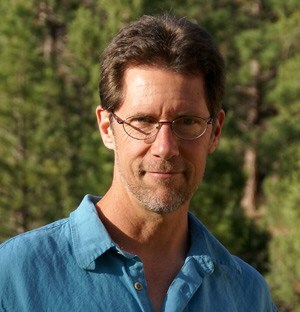 (N 41 35.657 W 124 5.954). Have you done this one? Want to do it? Share your thoughts in the comments below.